PRIORY HALL HAS drifted in and out of mainstream news coverage for the past two years. An emblem of the boom-and-bust of Ireland’s property market, the Donaghmede complex tells a complicated story of regulation (or lack thereof), intertwined with a mortgage arrears problem and, devastatingly, a suicide crisis. Much has been written in the past week about the heartbreaking death of Fiachra Daly, a father-of-two who took his own life, an action his partner attributes to the stresses of not being able to provide a safe home for his family. Yesterday, the Minister with responsibility, Phil Hogan, gave the strongest indication that he would resolve the issue, stating for the first time that demolition was an option. But how did we get to this point? TheJournal.ie explains the situation. When was Priory Hall built? Developer and former IRA hunger striker Tom McFeely ‘completed’ the 189-apartment complex in 2007. It was the height of the boom and the site were nestled in amongst a number of other new developments, including the much-talked about Belmayne. That particular housing estate – which was at one time visited by former Premier League footballer Jamie Redknapp – kept its snazzy boarding surrounding it for years, advertising stylish living quarters and a lavish Celtic Tiger lifestyle. That, obviously, is not the reality. First-time buyers, newly-married couples and young professionals were amongst the buyers. So too were Dublin City Council. Straight away for most but they didn’t seem that sinister. A flooded car park was the start. Residents stopped parking their vehicles in the underground area in 2007 when, one morning, they discovered their cars floating out of the space. Dampness in the homes was also becoming problematic and there was shoddy workmanship on display in every corner. TheJournal.ie visited the site in April 2012 and noted at that stage that the “the place looks closer to demolition than repair”. The entire complex is a fire hazard. A really, really dangerous one. Back in October 2011 when the residents were evacuated, Justice Nicholas Kearns asked that a fire engine remain at the development in case a blaze took hold as the residents moved out. The homeowners, however, had been living in the same properties for years at that stage. Where does Dublin City Council come into all this? Dublin City Council bought 26 of the apartments for social housing. It evacuated its tenants much earlier – in December 2009 – because of the safety concerns. As landlords, they had a duty to protect those living in Priory Hall. To protect the others, they ordered McFeely to carry out remedial work. However, he said he could not afford the €7.3 million bill. The stand-off led to the court-ordered evacuation of all 256 residents on the 17 October 2011. Do properties not have to be signed off on? This is where Ireland’s weak system of self-regulation comes into play. The apartments came with all the requisite sign-offs from engineers, fire safety officers and surveyors, as well as the necessary documentation. Fire plans are signed off on at planning/drawing stages so nobody actually inspects the building after it is complete – and as unbelievable as that seems, it is legally fine. Because regulations allow for the certification of work without a local authority representative actually being on site, much of the work done was never inspected. It is up to the builder – and, often, the builder alone – to ensure all the materials used are up to standard. Some would have done this, others would not have. This development fell into the latter category. And because the sanctions are so minor for any deviants, there wasn’t any big incentive to stay in line with what the light-touch regulation called for. As homeowners will know, the lenders giving out the mortgages are also required to send a surveyor but during those busy boom years, that surveyor was more akin to a valuer. His or her job could be completed by merely driving by the complex in Donaghmede to check that ‘yes, it exists; yes, it should be priced at market rates’. Why hasn’t the developer just fixed the problems? Dublin City Council tried to make this happen but McFeely says he cannot afford to do so. The Louth native filed for bankruptcy in the UK but was declared bankrupt by the Supreme Court in Ireland in July 2012. Separately, he was sentenced to a three-month prison sentence and €1 million fine for being found in contempt of court after he failed to repair the defects at the north Dublin development. However, that sentence was overturned on appeal and he served no jail time. 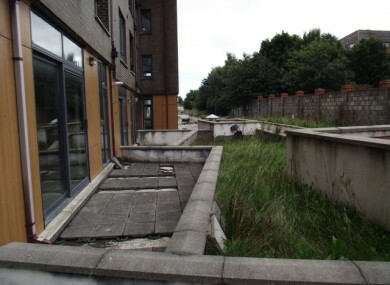 Barristers for McFeely argued that the developer had not been able to comply with the order to carry out repairs at Priory Hall because he had been evicted from the site almost two weeks earlier by the local authority. In her ruling, Supreme Court chief justice Susan Denham said there were unfortunate consequences from the request to have McFeely removed and that she was satisfied that he could not be in breach of the court order to carry out repairs because of that order. He served no jail time and did not pay the fine. Does insurance not cover this? Homebond, the building insurance agent, has refused to accept liability for the issues at Priory Hall. And the block insurance was dropped just days before the council sought the eviction order from the High Court. The insurer said it had carried out an inspection and could no longer provide insurance, citing a number of problems, including fire safety issues, leaking, incorrect materials used on the roof and mould growing on the walls. Brokers for the residents searched up and down the country but could not find an insurer willing to take the properties onto their books. Well, yes. Dublin City Council’s bill for the debacle continues to grow – meaning the taxpayer is shelling out for the issue. At last look, more than €3 million has been spent on temporary accommodation, 24-hour security at the evacuated site and legal costs. There have been various legal cases taken over Priory Hall. The evacuation order had to be sought by the High Court back in 2011, then the numerous legal battles ensued with developer Tom McFeely. Finally, the residents and the local authority have been in court over who pays for their temporary accommodation. The High Court has said the council is responsible for paying for the housing but this is being challenged in the Supreme Court. That hearing is up on 15 October. If the council is successful, the residents will have to begin paying rent on top of their mortgages. Are they still paying their mortgages? The vast majority have stopped paying. Intially, moratoriums were put in place so monthly repayments could be postponed but residents now refuse to pay for a home they cannot live in. A resolution process has been set up between the council, the lenders and the residents but it has been slow-moving. Most of the mortgages are priced between €200,000 and €280,000. The resolution process was supposed to last three months but has now entered its 17th month. The government has cited the personal insolvency regime as a possible solution but the residents dismiss the idea, claiming their issue is unique and not akin to that of people in negative equity. They say they are able to afford their repayments but cannot continue them while they have no physical home. The residents cannot see a way back into Priory Hall. They believe demolition is an option. They also want to meet with Minister Hogan to hash out the issues. There is no point “kicking it into the long grass”, they say. Hogan has refused to meet them over the past two years because of ongoing legal cases but they have dismissed the argument, noting that the current Supreme Court appeal deals only with their temporary accommodation and not the resolution process or the long-term solution. What are Dublin City Council saying? Dublin City Council continues to seek a resolution for the residents under the chairmanship of retired judge, Mr Justice Finnegan, and the City Council is fully engaged in this process. we do not wish to comment on or pre-empt the outcome of that process. Yesterday, AIB promised to engage with with customers who have mortgages at the derelict housing complex in north Dublin. AIB chief Duffy told an Oireachtas Finance Committee that the bank wants to ‘put a long-term permanent solution in place’ for its 18 mortgage holders in Priory Hall and said that it will begin engaging with them in next couple of weeks. The Supreme Court appeal which will decide who pays for the temporary accommodation will be heard next month, while the resolution process is ongoing. Meanwhile, the residents continue to live in temporary accommodation paid for by the council and four security men continue to police the derelict site in Donaghmede. Email “Explainer: What is happening with Priory Hall?”. Feedback on “Explainer: What is happening with Priory Hall?”.